Home/Mobile Phones/LG Mobiles/Google Pleads LG To Make The Next Nexus Smartphone – Will It be inspired? There have been too many rumors regarding the next Nexus smartphone release by Google. There are recent reports of the company about ditching the company named Nexus tablet and launching 2 new Nexus smartphones by LG and Huawei and this report is still being surfaced online. An eminent news agency reportedly said that the company has definitely signed a deal with LG for launching its next flagship phone. 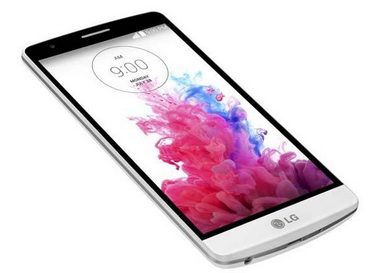 However, the question is that will this Nexus flagship phone be heavily inspired by the LG G4? Despite all the rumors, it is being believed that due to the history and success of LG smartphone, the redesigned Nexus 5 will most likely be made by LG. And as per reports y Tech, this Nexus won’t be based on LG G4 and instead be made from scratch by the respective company. An official from LG has said that the brand new Nexus phone will be based on entirely an unreleased prototype. He repeated his opinion, based on the rumors that this latest phone won’t be based on LG G4. As the price of Nexus 6 is dropping against expectations, there are signs that are pointing towards yet another launch of Nexus. The 2015’s version of Nexus 5 will try to replicate the success that was achieved by the last Nexus 5 that was made by LG. As per the review on LG mobile phones and as per the reports of the LG officials, it seems that they have the contract to design Nexus 5 with the code name Angler. However, Huawei has also created a larger Nexus with the codename Bullhead. According to reports, the Nexus 5’s LG version will don a 5.2 inch screen, an 808 Snapdragon processor and a 2700 mAh battery. On the other hand, the larger Nexus 5 from Huawei will be more expensive and will have a 5.7 inch screen, an 810 processor and a 3500 mAh battery. LG will look forward to enhance the features of the camera in the Nexus 5. As per the review on LG mobile phones, it has been seen that the camera in LG G4 was one of the best that was available in the market. Since the last Nexus 5 had some serious battery issues, LG will look forward to making some improvements this time. LG and Google may choose to use a screen with less resolution.